I am a runner, and I love to hit the pavement in my free time. Runners high is a real thing, and I have learned to live for it. I wish my life allowed more time to enjoy the pavement, but sadly, I spend much less time covering ground than I would like to. When I do find a sliver of my day to lace up my running shoes, I would really like to have a tool with me that gives me details on what I’m achieving while playing into my competitive nature. I love outdoing myself, and a device that promotes that would be right in my wheelhouse. The Fitbit Flex Wireless Activity and Sleep Monitor is supposed to keep track of everything that you do during the day, and it can organize it in three different ways. You can track by calories burned, steps walked or distance covered. Obviously, that seems pretty flexible and may be where the name came from. I think my needs are best met by distance covered since that’s the information that means most to me when I’m trying to beat my own record, but I think all of the numbers would mean a whole lot to my pursuits. The silent wake alarm on Fitbit Flex sounds pretty great. I am famous for setting my alarm early enough that I can hit snooze 10 times before I have to get up. A silent alarm would probably reduce the number of days that my husband wants to smother me with a pillow for waking him up a bazillion times. The website lets you set goals for the day, and then the tracker shows you how close you are to them. LED lights tell you every time you meet another 20% of your goal. If you’re supposed to walk 10,000 steps in a day, another light will pop on every time you hit another 2,000 until you reach 10K. Talk about features that will totally pump up my competitive side! I can see myself working to make sure that I get the same number of lights (or more) by a certain time each day. Another thing that makes it flexible is that it comes with more than one band size in the box. I’ve always been concerned about buying the wrong wrist size and then being stuck with a device that doesn’t fit. Flex comes with both a large and small band, and replacement accessory bands are available if you want to switch out the color. For those of us who have to stretch to hit 5-feet-tall, step counters aren’t always accurate because we have to take two steps for everyone else’s one. On the other side, my 7-foot-tall friend has the same problem just in the opposite direction. His pedometers always over count his steps because one of his strides are two of an average height person’s (or maybe more!) The app for Flex actually lets you change your stride length so that it more accurately catches the number of steps you take. Tiny people of the world, rejoice! You shall get your credit where it is due! There are quite a few features that make FitBit Flex, in fact, flexible. There are a few that might need more work before it’s the perfect device, but I don’t think they’re deal breakers for me. If running is your main activity, then you will probably really enjoy Flex. I could totally benefit from Flex because I am a runner at heart. Those who aren’t, however, might not get as much as out of the “Activity Monitor”. Flex doesn’t have an altimeter to keep track of step climbing or other specific types of movement. It won’t be very accurate while on a bike or in a spin class because there isn’t enough forward movement for the pedometer to register that motion accurately. It also will miss a lot of other inconsistent movement found in many sports and activities. A common issue with this generation of fitness tracker is that they don’t have accurate heart rate monitors. That doesn’t seem like a big deal if you’re not trying to do interval training or something of the sort, but it actually is an issue if you’re focusing on weight loss. Without the heart rate monitor, the calories burned figure can’t be accurate. Just think of it as an estimate, because heart rate is necessary to get an accurate number. While I’m not sure that Flex will help me that much when I’m doing exercise other than running, I think that it manages to be a pretty stellar tool for runners like myself. I am excited about the possibilities of it, and the encouragement to beat my own records. There is a lot to Flex that could make a different in my daily run, and I would love the metrics to keep me motivated and show progress. 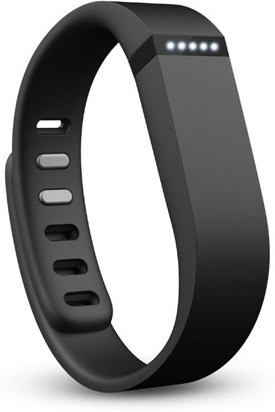 If you think that Fitbit Flex is the best tool for you, jog on over to Amazon and make it yours. Can Good Posture Be Linked to Happiness ?